A number of years ago, I traveled to England with my good friend, landscape architect Jeni Webber. Our rather ambitious goal, as I recall, was to visit 20 classic gardens in 10 days. No doubt, we did not do any of them justice--though it was a great introduction to English gardens and we had a delightful trip. There was still time at the end of each evening to unwind at a local pub for a recap of the day's discoveries. 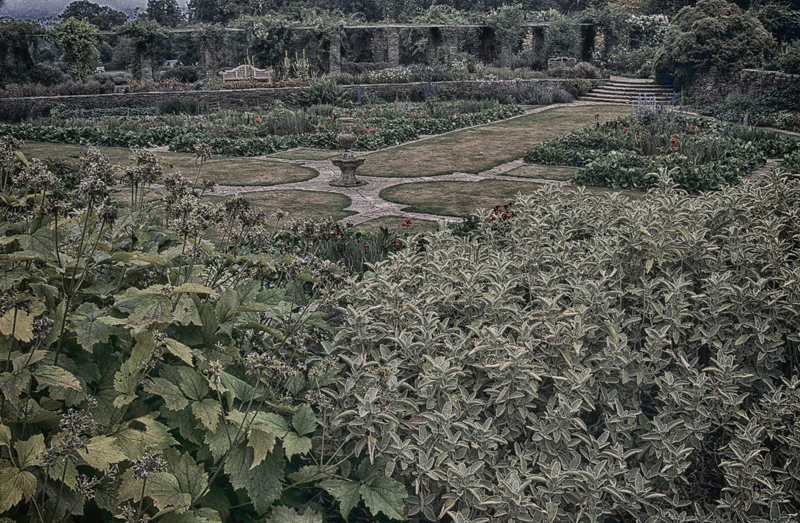 Hestercombe House Formal Garden. Taunton, Somerset, England. Photo ©Lee Anne White. While all of the gardens were impressive, my hands-down favorite was the formal, sunken garden at Hestercombe House in Somerset. A collaboration between architect Edward Lutyens and garden designer Gertrude Jekyll, this garden was commissioned in 1903. Lutyens and Jekyll often worked together. Most often, he designed the house and she designed the gardens. At Hestercombe, Lutyens's focus was the structure and construction of the garden, which was terraced and contained steps, long walls and multiple water features (wall fountain, tiered fountain and runnels). Jekyll, who was a master of both color and working with herbaceous perennials, focused on the extensive plantings. It has been described as the height of their collaboration on more than 100 projects.